Dare to be different this spring with a breath of fresh flair and fashionable finds for everyone! From big and bold designs to layered looks and the color of the year, we’ve got your Spring 2019 top jewelry trends. Captivate the crowd with the Color of the Year in coral. This vibrant color will bring life and luster to any outfit or occasion. Go big and bold with tube hoops and long dangle earrings that take center stage. Celebrate and cherish special moments with designs to empower, inspire and uplift you and your loved ones. Build your own unique look with stacked chains and multi-strand necklaces or mix and match styles for a one-of-a-kind piece. Complete your jewelry collection with classic and timeless Byzantine designs in bracelets and necklaces. The top trends and hottest fashion finds are now at your fingertips. It's quick and easy to shop the styles shown on this page! As the seasons change, so should your wardrobe and jewelry collection. Jewelry is one of the easiest ways to update your look and take an ordinary outfit and make it outstanding. The perfect accessory can really pull an outfit together and spring is a great time to showcase your unique style while you experiment with the latest fashion finds. 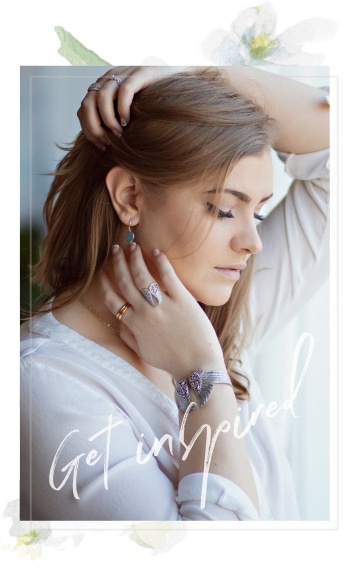 That’s why we’re bringing you the top spring 2019 jewelry trends to liven up your life and help you incorporate colorful and warm touches for any occasion. Spring into style this season with bold and bright designs, standout styles and layered looks. Give any of these trends a try and get ready to step into the spotlight this spring. What are you waiting for? Here’s some suggestions of what to wear and the best ways to add “wow” to your wardrobe. What is the 2019 Color of the Year and how can I incorporate this color in my jewelry? The warm hues of the Color of the Year in Coral can be worked into any jewelry wardrobe and look great on everyone. The pinkish-orange tone can be found in nature and is the perfect pop of color to kick off spring fashion. Coral jewelry can be worn as a single large statement piece to radiant energy and positivity or as a playful accent color with a mixture of metals. You can find this pretty-in-pink color in gemstone jewelry such as morganite/cor-de-rosa morganite and pink opal and in the JTV brands Southwest Style and Bella Luce. What are tube hoops and dangle earrings? Bold heavy hoops, also known as tube hoops, are making a BIG comeback this spring and bring your look full circle. High impact hoops put your look front and center and give you the choice of different proportions, ranging from big and small to thick and thin. 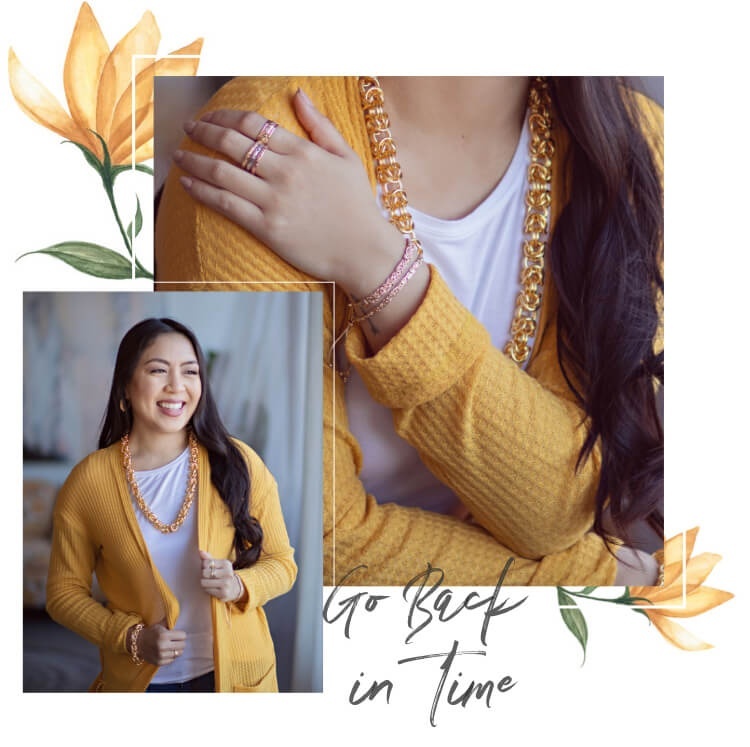 This timeless trend is a forever-favorite because of the classic silhouette and streamlined style that can shine solo or be paired with playful accessories. Dangle earrings or “drop earrings” hang below the earlobe and have some type of movement either by swinging front-to-back or side-to-side. The length of a dangle earring varies, and some are even long enough to brush the shoulders or branch off into several layers creating a waterfall effect such as chandelier dangle earrings. The style can be a single chain or wire that extends from a hook or a post and ends in some sort of ornamental piece like a gemstone or a bead. 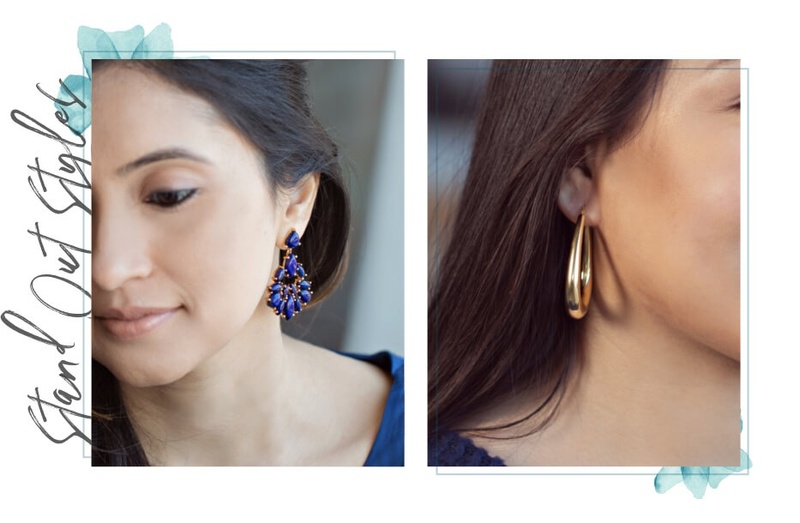 Serving as the perfect eye-catching accessory, dangle earrings add a touch of elegance to any look and are appropriate for any occasion. They can be worn as casual or as fancy as you prefer. What kind of inspirational or meaningful jewelry would be good as gifts? Jewelry designs with features such as angel wings, crosses and hearts are often used as gifts to empower and uplift friends and family. These special pieces show your commitment, love and friendship for anyone you hold dear. Inspirational jewelry gifts are even more special and thoughtful because they come from the heart. Your loved one, family member or friend will be thrilled with your hand-picked gift that means so much and will last a lifetime. How do I build my own layered look with necklaces? You can never have too many necklaces so pile on the bling with various mixed metal chains or go for a longer look with several different length gemstone or pendant necklaces. Be creative and unique for your own individual look and fashion forward style. Here are some ideas to help you start building stylish strands for any occasion or outfit. You can wear two short necklaces together, use one long necklace and one short necklace or layer two long pendant necklaces. Keep these few pieces ready to go anytime and you’ll create your own jewelry wardrobe. Byzantine jewelry is strongly influenced by the art of the Byzantine civilization and typically made from heavy gold. This type and look of jewelry originated from the Byzantine Empire, around the fourth century AD to approximately the mid-1400s. The Byzantine time period was full of wealth and riches so there was an abundance of gold metal used during this time and is one of the classical characteristics of Byzantine art and jewelry. Typical types of Byzantine jewelry include necklaces, bracelets, rings, earrings, and other ornamental jewelry.